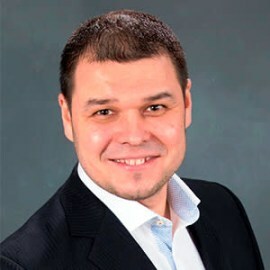 Marat Mukhamedyarov is a managing partner at Good News Ventures, a venture capital (VC) firm focused primarily on technology companies, where he helps entrepreneurs to define and achieve their vision. He is also a chairman of the board at York Angel Investors and a board member of several companies. He has a certified management designation from the International Business School and has a master’s degree in engineering.